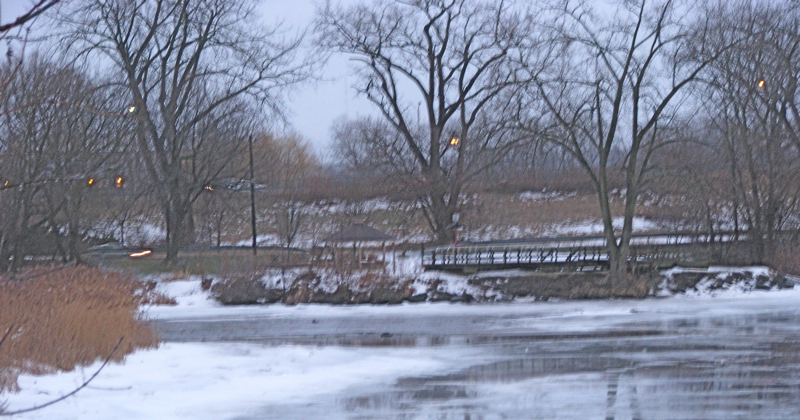 Why Oppose a Dock in Riverside Park? 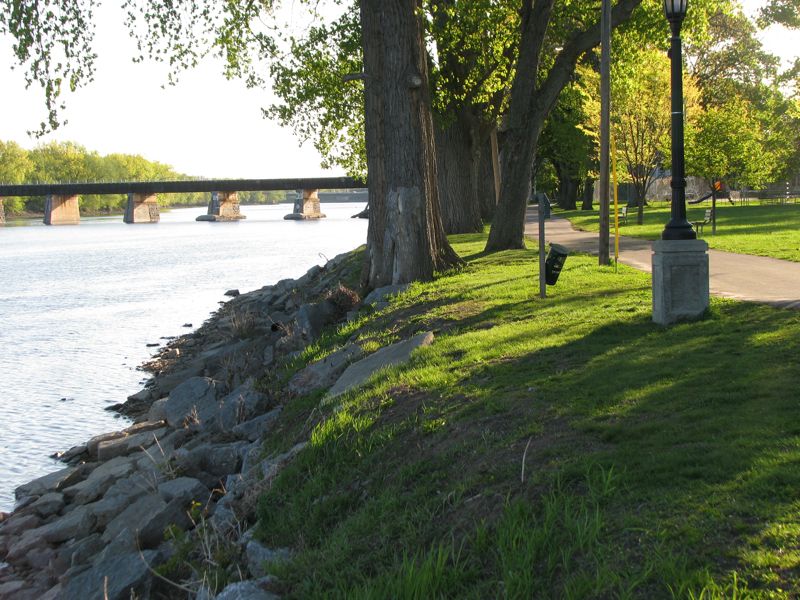 Hundreds of residents of the Stockade believe the dock would be Bad for the Park, Bad for the Historic District and Neighborhood, and Bad for the City of Schenectady. For a brief summary of my position, click this link (which brings you to a short statement near the bottom of this posting). 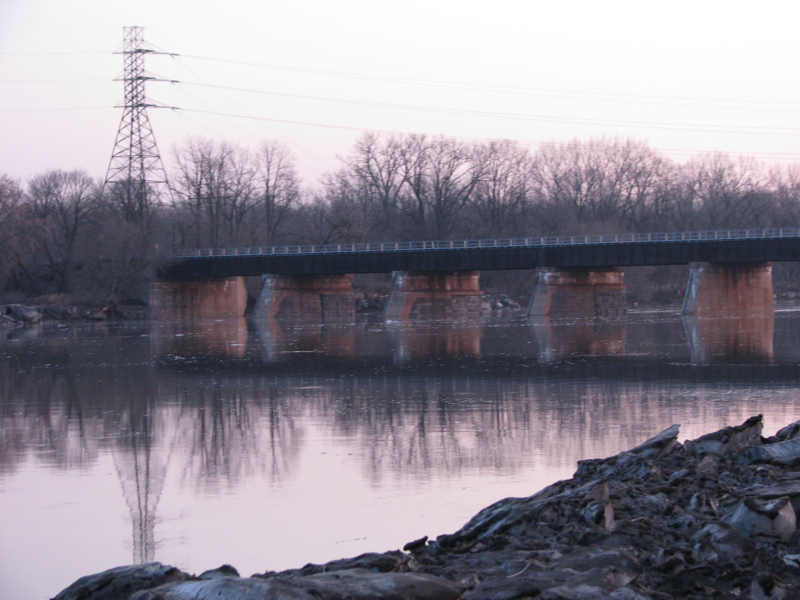 A 5-page Letter to the NYS Canal Corp., dated April 29, 2010, contains a more comprehensive discussion. 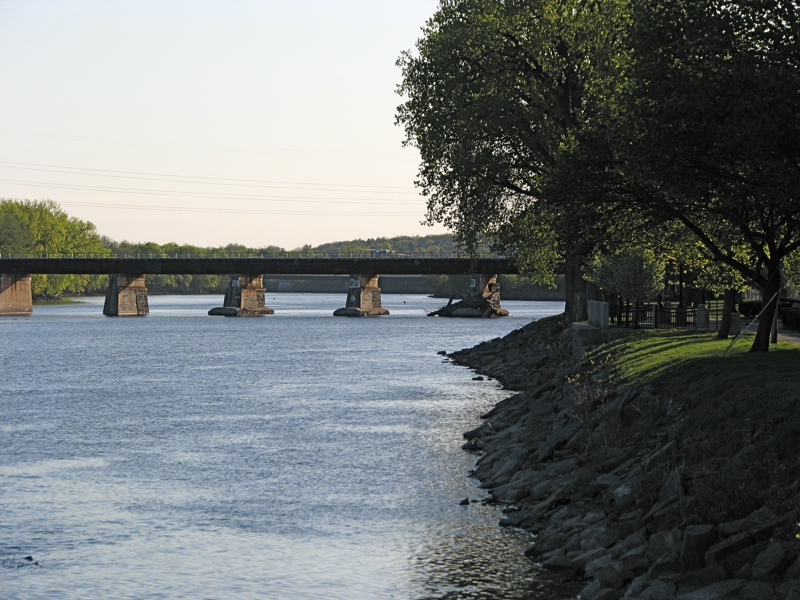 – you can share this posting by using this short URL: http://tinyurl.com/StopTheDock – and see see our posting “Potential environmental effects of the Riverside Park dock” (Sept. 30, 2010). 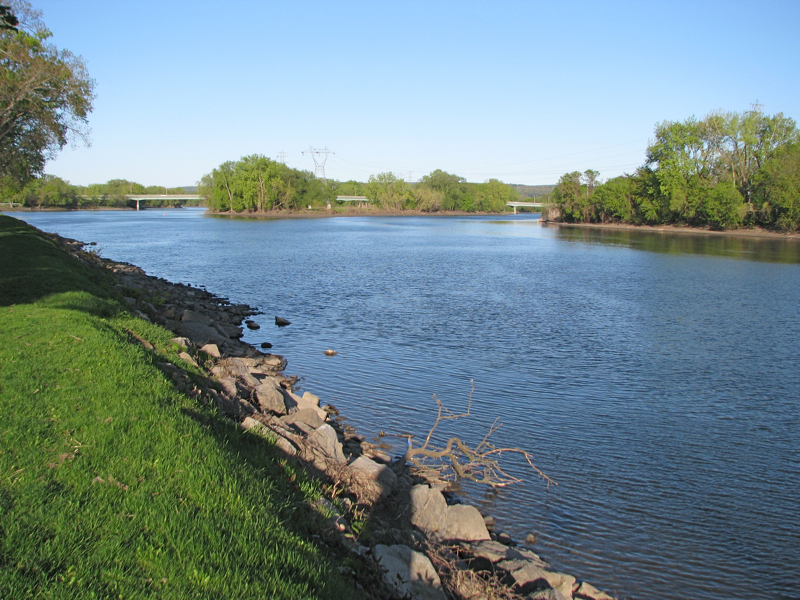 – Above is the Mohawk River location of the proposed 300′ Riverside Park dock (which would be parallel to the bank). 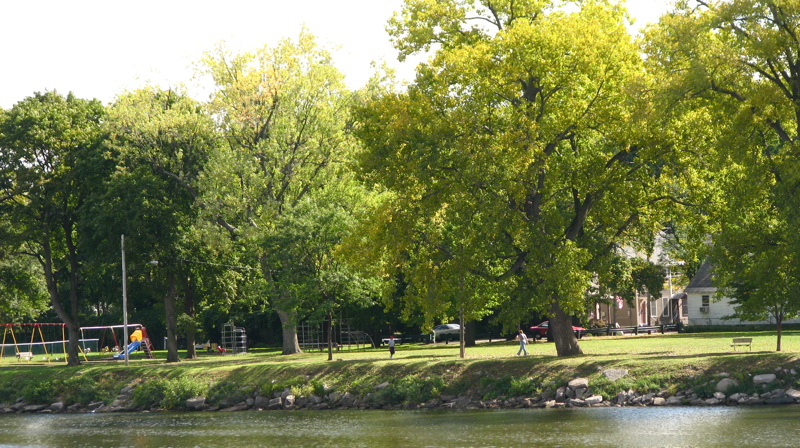 There are many photos below of the now unobstructed views from that part of the Park, and from the many places in the Park where the scene will be adversely affected if a dock is installed – – as always, click on a photo for a larger version, and scroll over it for a description. 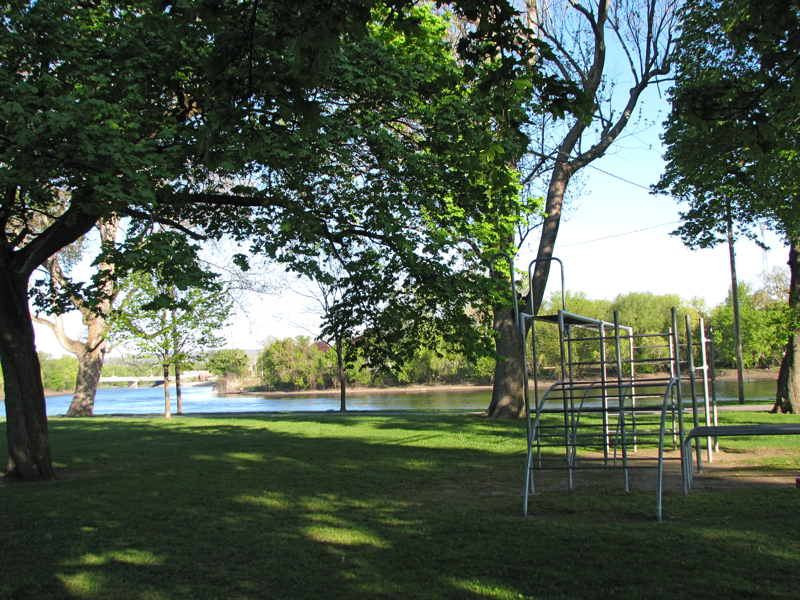 We interrupt this photo weblog for an urgent message . .
All Stockade residents are welcome at the April 22 Meeting and may voice their opinions and ask questions of the City Planner (Steven Strichman) and Corporation Counsel (John VanNorden). A vote by ballot will be taken of Association members, and a separate vote will be taken for non-members of the Association, so that their opinion will also be recorded. follow-up (June 19, 2010): Schenectady County presented its new Waterfront Revitalization Plan, on June 1, 2010, in a public meeting at the Central Library. 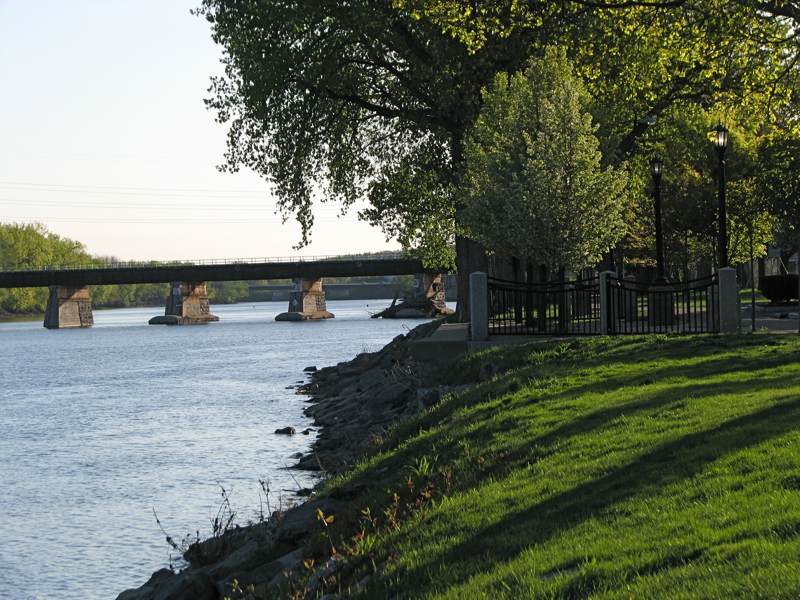 As we have been pointing out since early April, putting a dock in Riverside Park is clearly inconsistent with the Plan, which concludes that Riverside Park’s “limited access and parking . 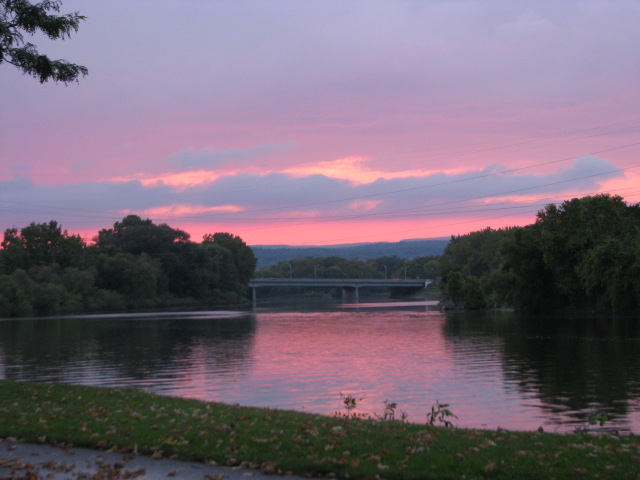 . . inhibits any significant expansion of use other than to improve it as a scenic overlook and to improve pedestrian and bicyclist access and connection to adjoining areas.” You can read the entire Plan by clicking here. 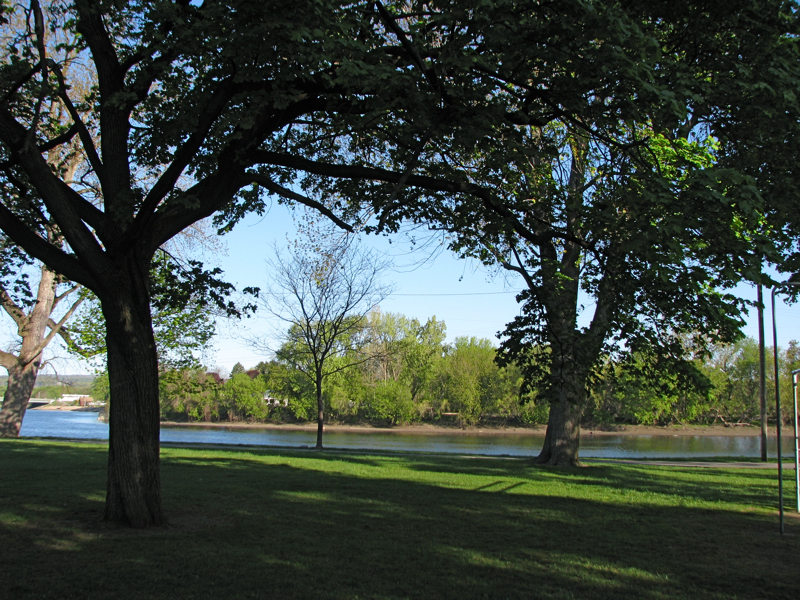 See my Comment to a Daily Gazette article (dated June 5, 2010) for a description of the Plan’s recommendations for Riverside Park. Below are photos showing the current unobstructed view of the riverscape from the stretch of waterfront where the dock would be installed. 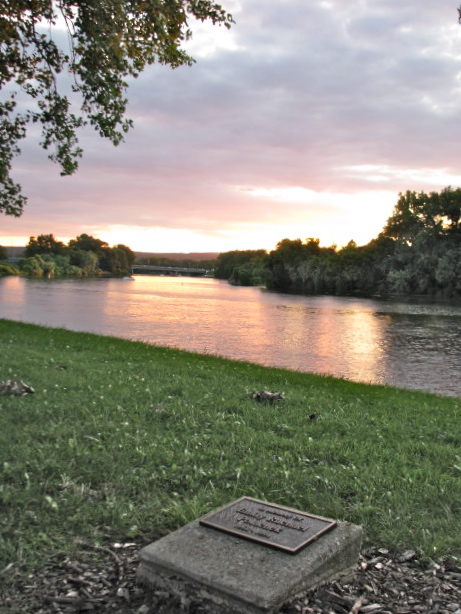 Scroll down further for more photos, showing views of the riverbank from throughout the Park that will also be marred by the insertion of a large aluminum dock and any boats using the structure. As always, click on a photo for a larger version, and scroll over it for a description.] Below, you will also find a short summary of my position in opposition to the dock, and links to other important documents.
. . . as always, click on a photo for a larger version, scroll over it for a description, . . .
. . .above: from Washington Ave dead end and the bank near Governors Lane . .
. above: looking east from on & around the Esplanade .
. .above: 8 AM view to the west [top] and east from the end of North St. . . 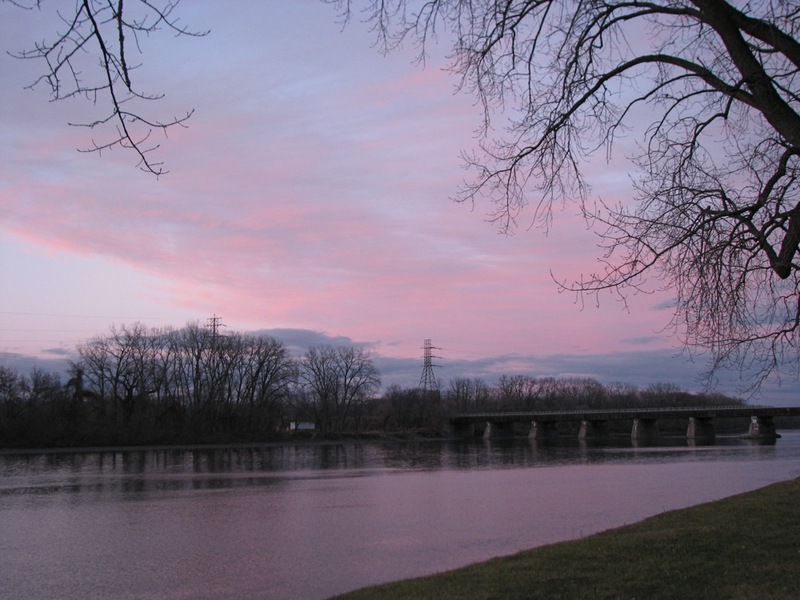 Putting a dock in Riverside Park is inconsistent with current and prior plans and reports on the development of the Mohawk River waterfront, and with a 1998 Resolution of the Schenectady City Council, each of which took into account the special nature of the Park and its surroundings. 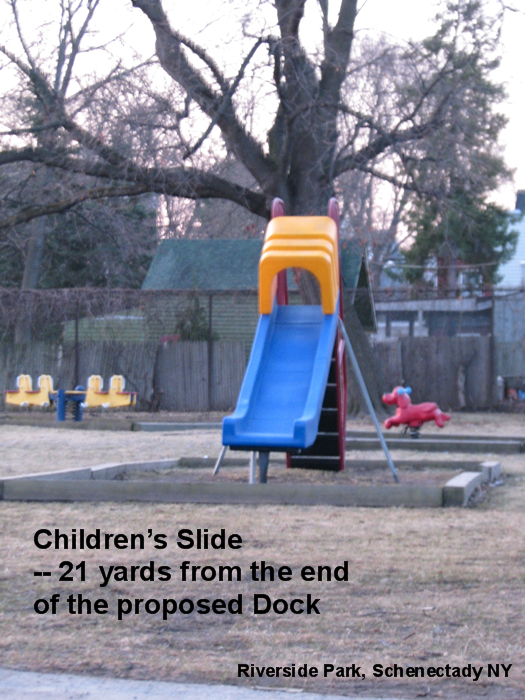 In proposing this dock, the City’s Planning Office has done an inadequate job evaluating its adverse impact on the Park and the adjacent historic residential community. 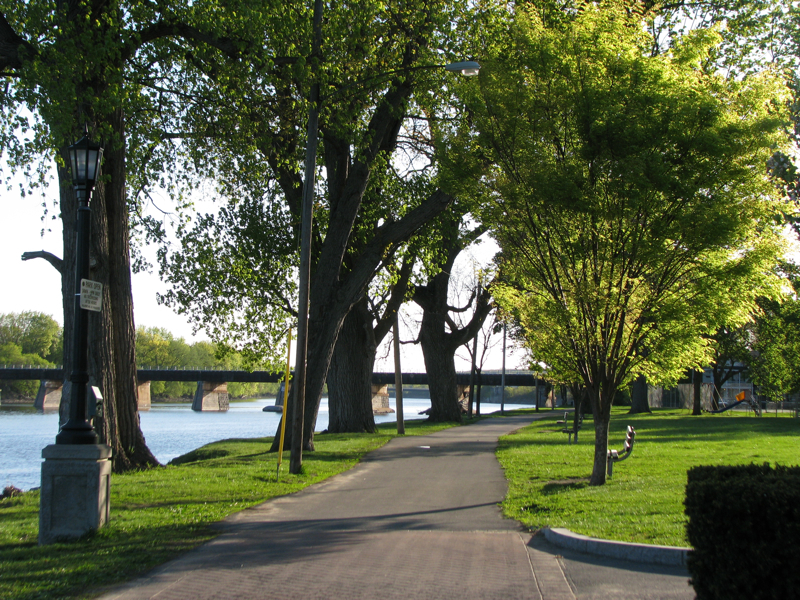 A dock would harm both the scenic beauty and relative tranquility of this special urban park, while making existing access and parking problems worse, and reducing the quality of life of those who live close to the proposed structure or in the adjacent neighborhood. 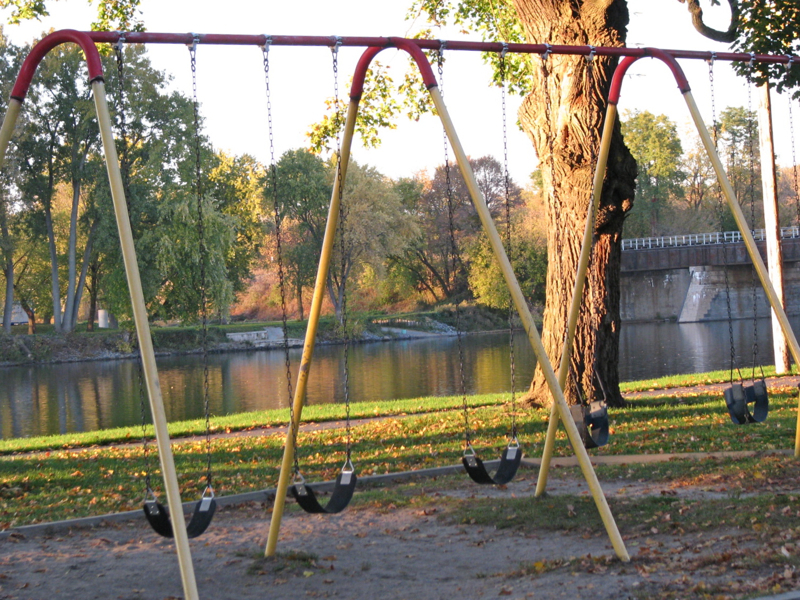 It will also create the demand for costly services and amenities (e.g., police, rest rooms, lighting, clean-up), as well as require expenses for maintenance, seasonal installation and removal, storage, etc., and make the City (its taxpayers) liable for serious accidents and injuries on and around the unsupervised dock. 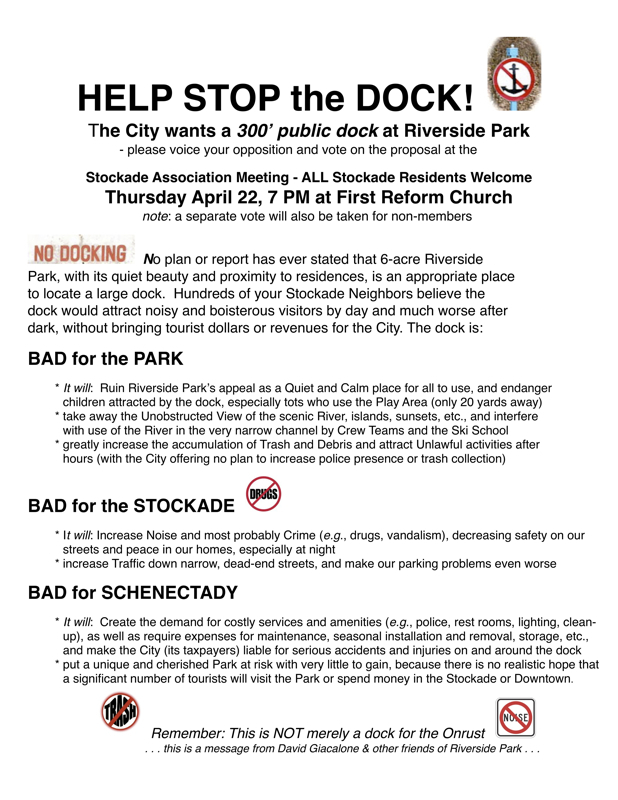 That’s why more than 200 Stockade residents signed a Petition against the dock, and why the vote at a special Stockade Association meeting (April 22, 2010) was more than 2 to 1 against the dock proposal. The shortened dock suggested by some as a “compromise” solves none of these problems and is merely a ploy. 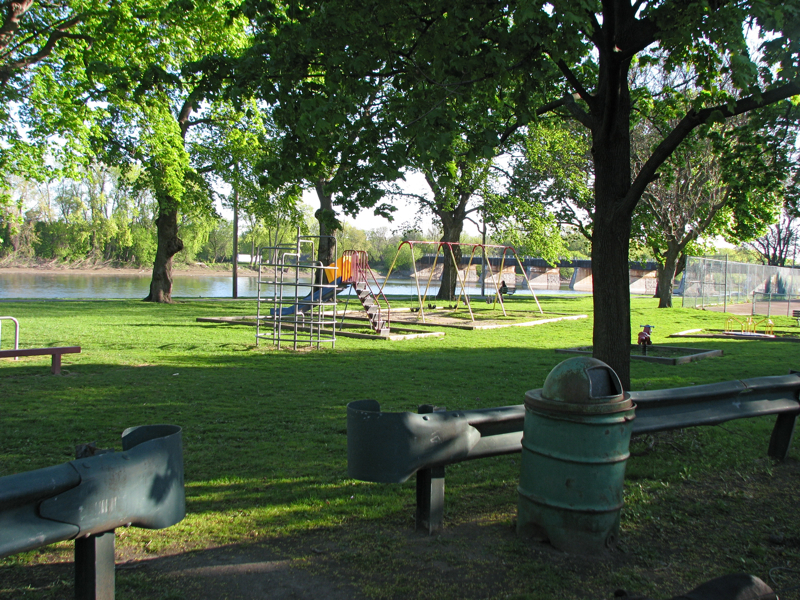 The risk to the Park is too great and the promised tourist dollars too unlikely for the City to approve a dock in Riverside Park merely because it has been offered a Grant originally meant for a dock that would have been built in a far more appropriate location (East Front Street). 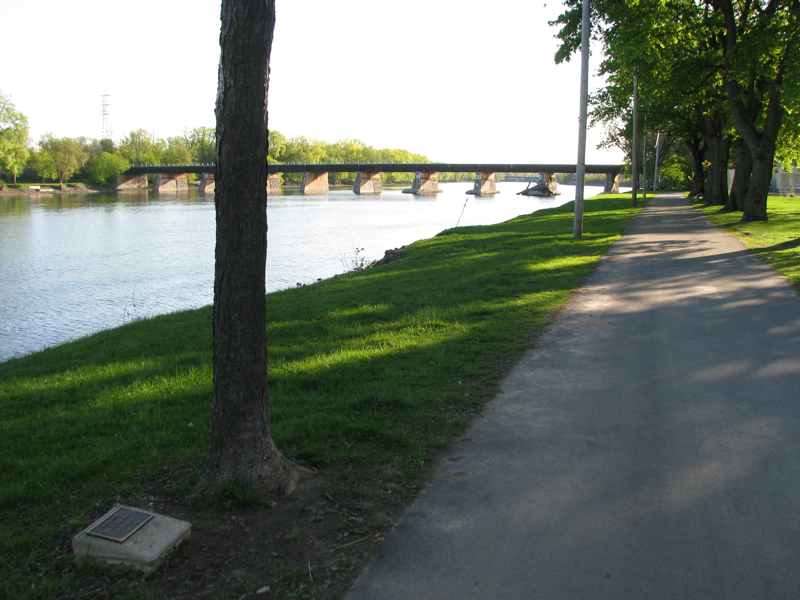 – For a more comprehensive explanation, see my 5-page Letter of April 29, 2010 to Carmella R. Mantella, Director of the New York State Canal Corporation, asking the agency to deny the City of Schenectady’s request for approval of the dock in Riverside Park, and to rescind its Greenway Grant to pay for the dock. 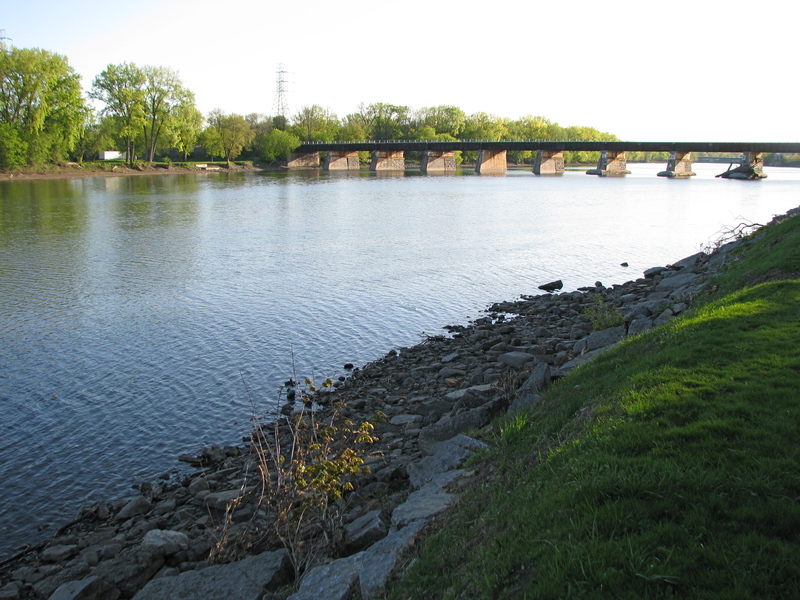 – The dock is clearly inconsistent with Schenectady County’s new Waterfront Revitalization Plan (June 2010), which concludes that Riverside Park’s “limited access and parking . 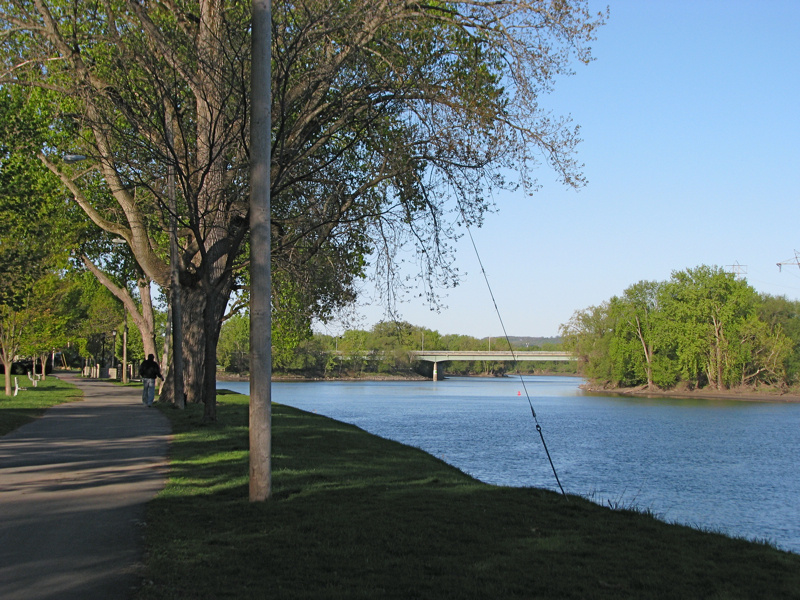 . . inhibits any significant expansion of use other than to improve it as a scenic overlook and to improve pedestrian and bicyclist access and connection to adjoining areas.” You can read the entire Plan by clicking here. 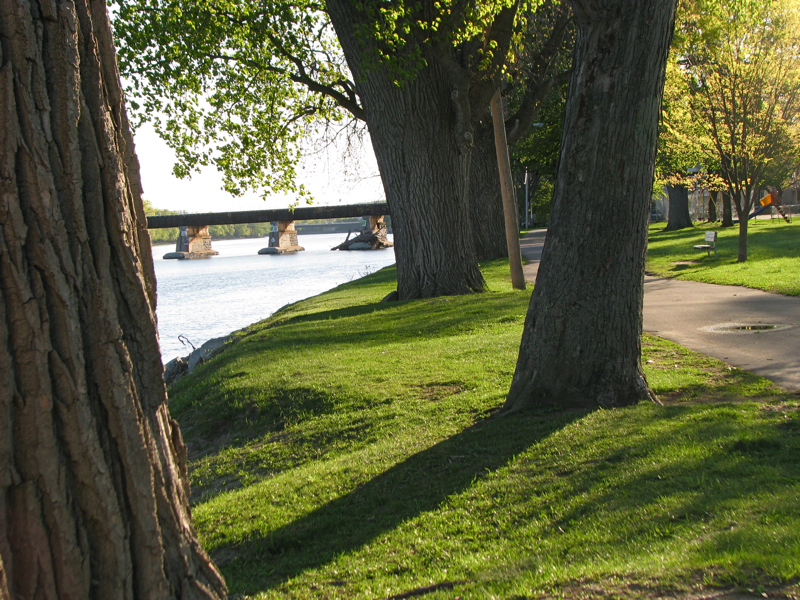 See my Comment to a Daily Gazette article (dated June 5, 2010) for a description of the Plan’s recommendations for Riverside Park. 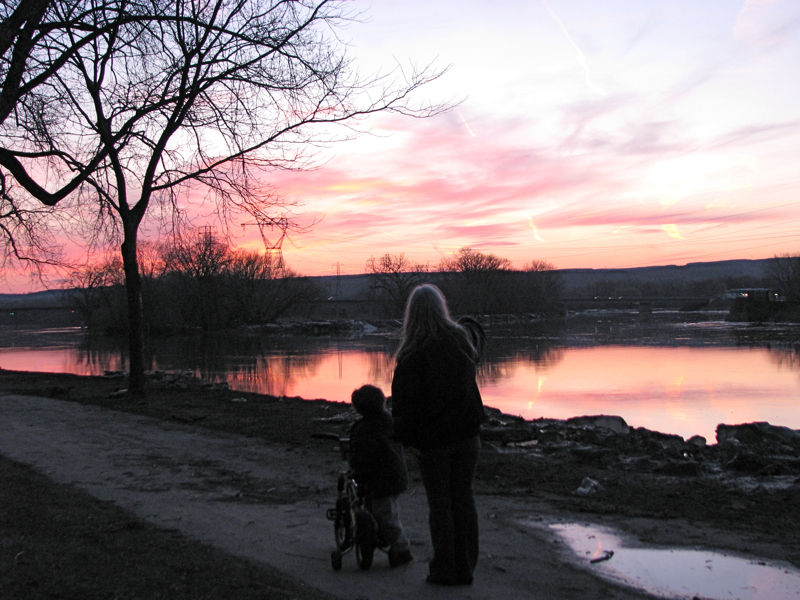 – My Op/Ed piece in the Sunday Gazette (April 18, 2010, at D1), which explains that dock opponents are neither anti-progress nor opposed to having visitors from outside of the Stockade (so long as they come by land like the rest of us). 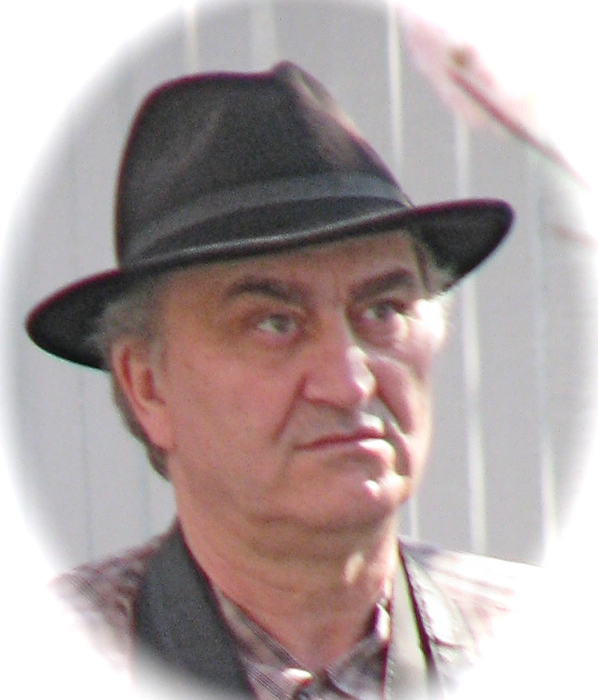 update (Sunday, April 25, 2010, 12:45 PM): Don Rittner, Godfather of the Onrust (the replica Dutch ship that would make the proposed dock its summer home port), has made quite a stir around the Stockade with his Sunday TU weblog and Facebook posting on “The Schenectady Massacre (of facts)“. 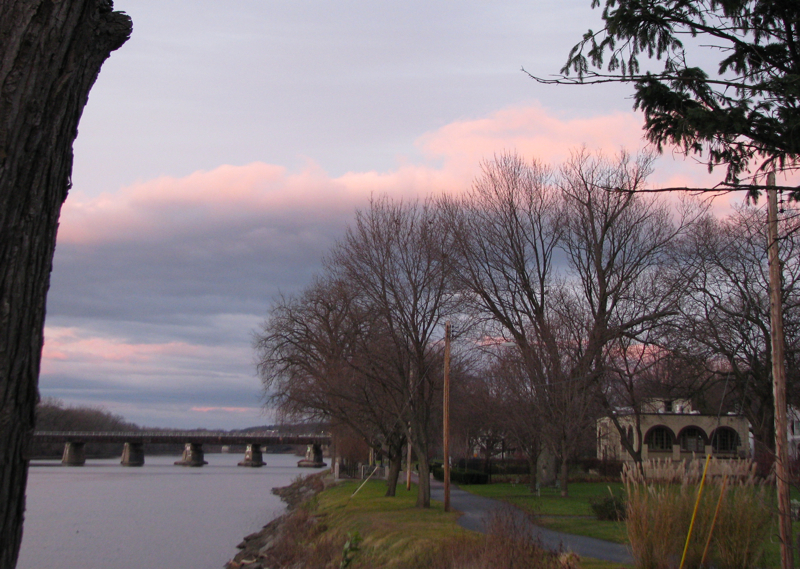 Click the preceding link to read the increasingly flustered and unseemly commentary from the official Historian of both the City and County of Schenectady, who strikes out with insults at dock opponents. You’ll see my Comment that day, his reply and my response. The tone at the website is so negative and a real dialogue is so unlikely that I have not been back to the site since April 25th. 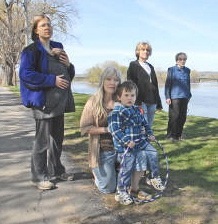 To further muddy the waters, an editorial in today’s Gazette, headlined “Don’t give up so fast on dock for Onrust” (Jan. 18, 2011), calls for a dock in the Park despite neighborhood opposition, and urges the City Council to clarify that it is still planning to use that grant for a dock on the Schenectady waterfront. 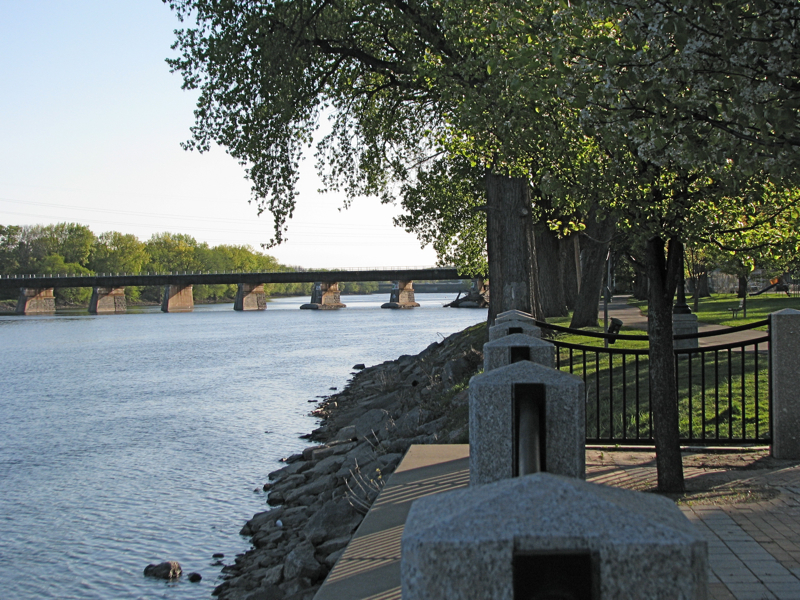 I’ve long been advising vigilance in the face of obituaries for the proposed Riverside Park dock, and continue to do so. 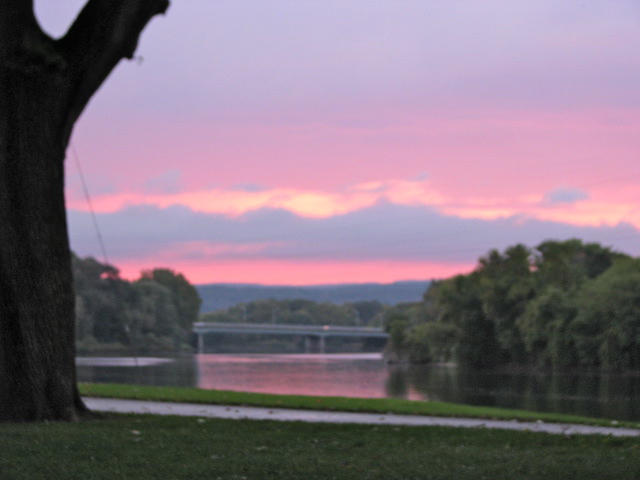 You don’t have to believe in zombies to fear just what our City Council might be digging up next at Riverside Park.